Will you give British sovereignty to a foreign business? 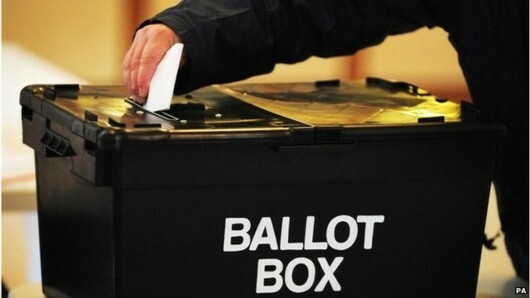 It is the eve of the European Parliamentary elections. How much do you really know about what your candidates would do – if elected? Much of the debate so far has focused on personalities rather than policies – but does it really matter that Labour won’t commit to an in-out referendum on our EU membership (which is a UK Parliament issue in any case) if its MEPs do their job properly and defend the interests of the British people in the Brussels assembly? Does it matter that the Conservatives are promising such a referendum, if they give away your right to a high-quality health service, along with your rights at work, to American companies? These are the issues that really matter. 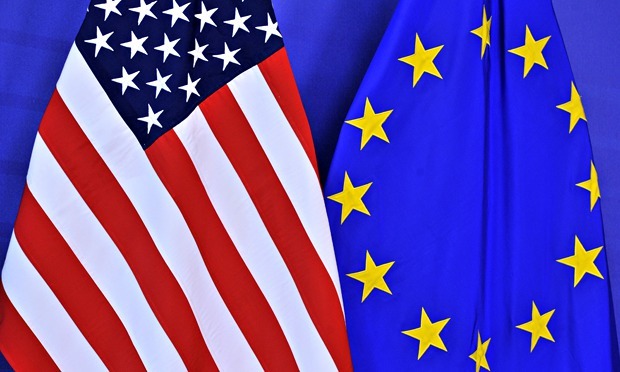 A few months ago, Vox Political was running articles on the highly controversial Transatlantic Trade and Investment Partnership, currently being negotiated between the European Union and the United States of America. Much of the groundwork has been carried out in secret, hidden from public scrutiny, but the information that has been made available has aroused serious concern that this agreement will weaken existing standards and regulations that protect workers and consumers in the EU. In particular, the Investor-State Dispute Settlement (ISDS) would allow any foreign company operating in the UK to make a claim against the government for loss of future profits resulting from any regulatory action by the government, such as new legislation. Such claims would be considered by an unelected, unaccountable tribunal composed of three corporate lawyers whose decisions are likely to favour the corporations and would override national laws. It is widely believed that the TTIP will be used by our Conservative-led government as a means of locking-in its detrimental changes to the National Health Service. Do you want the health of your constituents to depend on a foreign company’s balance sheet? Are you in favour of sales or the safety of your constituents? Do you support attacks on workers’ rights? Do you support the people who elected you – or are you a puppet of the corporations? The response from Labour’s Derek Vaughan was characteristically short and to the point: “As you would expect, Labour MEPs oppose the ISDS in certainly anything which would allow the Tories/UKIP to argue for further privatisation of the NHS. We’ll come to them shortly. Derek’s answer – though brief, tells you everything you need to know about Labour. They aren’t staying silent (as a recent Liberal Democrat letter asserted) and they aren’t pandering to corporate interests. Labour will defend British institutions against any European ruling or agreement that infringes on them. That’s a promise. 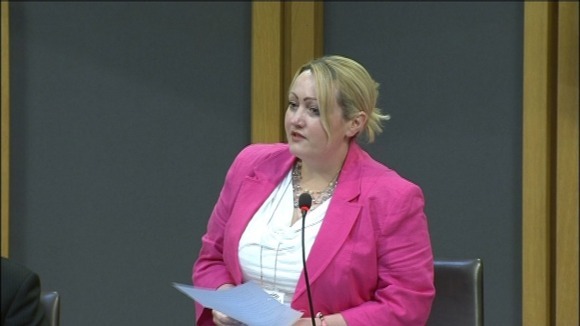 Jill Evans, for Plaid Cymru, had a little more to say: “I share your concerns regarding the TTIP as does the rest of my group in the European Parliament, the Greens/EFA group. “We are 100 per cent against ISDS as we do not believe that extra-judicial powers should be given to foreign investors. We have been working hard to lobby the Commission to get them to make changes to the TTIP… The TTIP will include a strong focus on … co-operation but the regulatory cultures and social and environmental standards on both sides of the Atlantic are very different; conflicts over GMOs and Hormone Beef are just two examples. So Plaid and the Greens are as strongly-opposed to the ISDS as Labour, but acknowledge there are advantages to be had – if this agreement is negotiated by the right representatives. This is why it is so important that you use your vote wisely. A vote for UKIP might seem like a worthwhile protest against the UK’s Conservative government, but what good will it do when the Kippers, who support corporate power, wave through measures to strip you of your rights? And then we have Kay Swinburne, representing the Conservatives. Her response was the longest of the lot, perhaps suggesting that she knew her party’s stance was harder to justify. 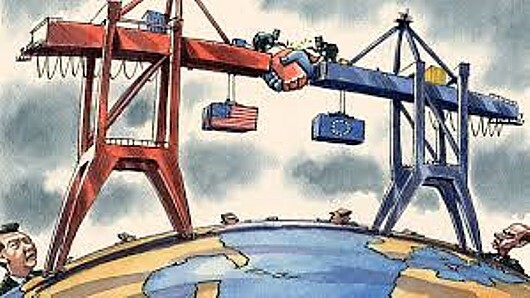 “Transatlantic trade flows (goods and services trade plus earning and payments on investment) averaged $4 billion each day through the first three quarters of 2011. In 2008 EU/US combined economies accounted for nearly 60 per cent of global GDP,” she stated. There is little evidence for this, and even that is poor. The European Commission’s own impact assessment admits that a 0.5 per cent increase in growth would be “optimistic”, and independent research suggests that a meagre 0.01 per cent increase in the growth rate over 10 years is more likely. The North American Free Trade Agreement between the US, Canada and Mexico led to a net LOSS of almost a million jobs in the US. You have to ask why this MEP is arguing against the facts. “That is an extra £400 to every UK household and while some reports criticise the economic focus, I would argue that this is exactly the kind of stimulus package we should be focusing on,” she continued. Again, this is inaccurate. Every household will not gain an extra £400 because of business deals carried out between very few, very large, corporations. In fact, much larger amounts of money will go to the kind of people who have too much of it already. “ISDS is a system that allows investors to initiate proceedings directly against a government should they believe that their property has been expropriated illegally, that is, not in conformance with the laws of that country itself,” she continued, skimming over the possibility that a legal challenge could be mounted against changes in a country’s laws – such as Labour’s planned repeal of the Health and Social Care Act that allowed the creeping privatisation of the NHS, if the Conservatives are defeated in the 2015 UK general election. She does not explain what that certainty may be. Is it the certainty that they can run roughshod over their workers? That their profits will take precedence over our health? What about certainty for our citizens? “Rest assured that this is not a mechanism that will allow for fundamental laws of the EU, such as the REACH legislation on chemicals or the Tobacco Products Directive, to be overturned by a foreign company.” That does not offer any consolation if the laws of the UK do not remain similarly inviolate. “The EU and its Member States will and must remain able to adopt and enforce, in accordance with their own and EU laws, measures necessary to pursue legitimate public policy objectives in the fields of social and environmental standards, security, the stability of the financial system, and public health and safety.” This seems encouraging, but is overshadowed by what this Conservative MEP has already stated. This is why we need a sceptical European Parliament, and a critical UK Parliament when the deal comes to Westminster for ratification. That is the information provided by the Welsh MEPs. Labour and the Green Party will stand up for you, while the Conservative Party and UKIP will stand up for the few. Put in that way, it isn’t a choice at all. But is the electorate well-enough informed to make the appropriate decision? Someone’s raiding the pensions piggy-bank: Government changes mean the rich will be subsidised by the poor. It seems the Conservatives cannot wait to betray their most loyal voting group. 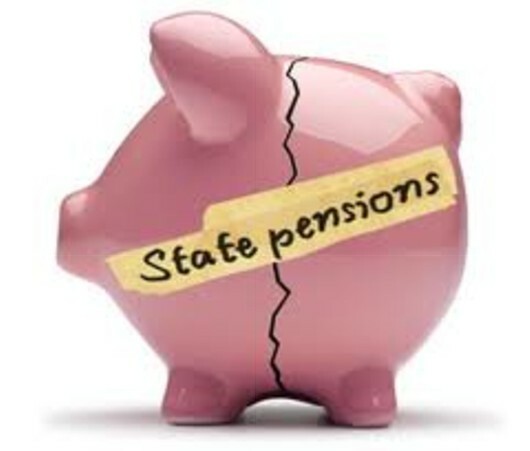 If you are a pensioner – beware! As trailed on Vox Political last November, the Department for Work and Pensions appears to be planning to delete the cold weather payment from its chequebook, along with free bus passes and free TV licences. We already know that the age at which the state pension will be paid is rising, meaning people will have to continue working for longer before they qualify for the £144/week payment (with a minimum National Insurance record of 30 full years). This is a betrayal of promises made by both the Conservatives and the Liberal Democrats in their document ‘The Coalition: Our Programme for Government’. Because life expectancy depends on where you live and your social class, this means many poorer people will enjoy only three-to-six years of retirement on average, while richer pensioners get 17-20 years of pension payments. That’s right – rich people even get a better deal from the state pension. Meanwhile, the taxpayer is being asked to fund three-fifths of the pension scheme for members of Parliament, who qualify at the age of 60 after 20 years’ service (or after 15 years if aged between 60 and 65) and receive an average of £353/week (see House of Commons Library SN6283: MPs’ Pension Scheme – 2012 onwards). MPs (along with civil servants and judges) will receive transitional protection as the pensionable age rises – meaning they won’t lose out. More than 700,000 working women, on the other hand, have received less than two years’ notice of changes that will deprive them of up to £7,500 per year. Iain Duncan Smith announced at yesterday’s meeting of the Commons Work and Pensions Committee that he was considering removing benefits that are exclusively for pensioners, in order to bolster his Benefit Cap. The Benefit Cap was hailed as a hugely popular policy after its introduction last year, but it is now questionable whether pensioners will be quite so enthusiastic. Including pensioners’ benefits among those that are capped means they may have to be means tested in the future, as the number of pensioners grows – putting pressure on the £200 billion benefits budget. The Daily Mirror reported that Treasury sources played down this prospect last night, saying the annual spend on pensioner benefits was dwarfed by other payments. This is disingenuous as the annual spend on pensions is more than on all the other benefits combined. Cutting pensioner benefits and forcing people to work longer before they receive their pensions will deprive senior citizens of billions of pounds. While changes to pensioners’ benefits are still under discussion, changes to the age at which pensions are paid have already become law. The hypocrisy of MPs in imposing new rules that disadvantage ordinary people while protecting themselves, judges and civil servants has led to the creation of a petition on the 38 Degrees website, calling for the changes to be reversed. 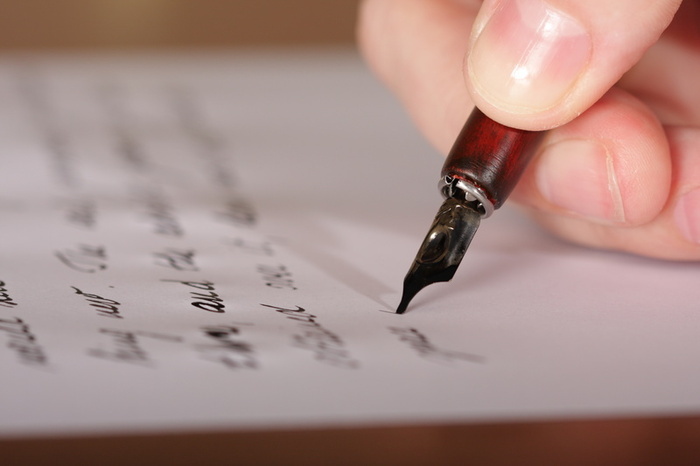 The petition states: “It is discrimination to impose ‘rules’ that disadvantage one group of people more than another. It is against the law to treat someone less favourably than someone else. How can this Government be allowed to get away with this? “Because of this broken promise those of us affected are now being forced to work longer and wait longer to receive our state pension, which is an entitlement and something to which we have contributed, all of our working lives. “These changes will also have a detrimental impact upon employment opportunities for young people. The longer we are being forced to work, the fewer jobs there will be for them. Is this an honourable way to treat people? “The right to retire with financial security, at the age that has been promised throughout our working lives, has been denied. The petition currently (February 4) has around 7,100 signatures. If you agree with it, please visit the 38 Degrees website and sign. And don’t forget to mention it to anyone you know who is coming up to retirement age. Vox Political believes pensioners should have the dignity of financial security. Like them, the site needs funds to continue. Do rank-and-file Tories really believe their party’s “achievements” in taxation will propel it to victory in the next election? To recap: The Coalition government has cut taxes to allow 13,000 income-millionaires an extra £100,000 each, but at the other end of the income scale, raising the tax threshold nominally gave the poorest in society an extra £600 per year – which has been completely wiped out by the rising cost of living and cuts in social security benefits. Most people in the UK earn less than the average wage so it is easy to conclude that many more people will be affected. It might be a mouth-watering policy for the ‘have-yachts’ who now appear to comprise the majority of party membership after the mass defections and membership card-burning displays of recent months, but party leaders know that they need to keep that sort of thing quiet and woo the masses with a more attractive proposition. They’re not stupid. They have learned a trick or two from David Cameron’s short-lived “detoxification” before they came back into public office, and they believe their “bait and switch” tactic is serving them well. They need a user-friendly “bait” to get the average citizens’ votes, after which they can “switch” back to the terrifying policies of oppression that we have tasted – yes, only tasted – over the last three years. And Andrew Gimson on ConservativeHome states: “There is a bit of window-dressing about cautions, which is meant to show that the Tories are tough on crime. And there is an irresponsible scheme to help people buy over-priced houses, which is meant to show that the party is on the side of people who do not have rich parents. “If I were a floating voter, I think I would find these attempts to gain my support rather patronising,” he adds – and we can all agree with that. Simple answer: Because nobody wanted them. We have already covered taxation in part. To the regressive changes in income tax that have helped the rich and attacked the poor, we should add the non-attempt to handle tax avoidance, which amounts to a few weasel words spoken for the benefit of the public while the ‘Big Four’ accountancy (and tax avoidance) firms continue to write the law on the subject, ensuring that their schemes – together with the people and firms on them – continue to avoid the attention of HM Revenue and Customs. Is that fair? Do you think it will appeal to the poverty-stricken voter-on-the-street? Welfare: George Osborne was set to unveil a new intensification of Workfare today (Monday), in which everyone who has been unemployed for more than two years will have to go on work placements in order to receive their benefits. This is, of course, utterly pointless. Such schemes ensure that fewer real jobs are available (why should an employer pay anyone a living wage when the government is supplying a steady stream of workers for free?) and have proved worse than useless at getting anyone into the few positions that remain. The announcement may cheer the Tory faithful but Andrew Gimson’s article suggests that these people are further out of touch than their MPs! It is interesting that the new plan is not being unveiled by Work and Pensions Secretary Iain Duncan Smith, but by his rival. It seems that Smith really has been ‘Returned To Unit’ for the time being – perhaps because he has done more to re-toxify the Tory brand than most of the party’s other front-benchers put together! 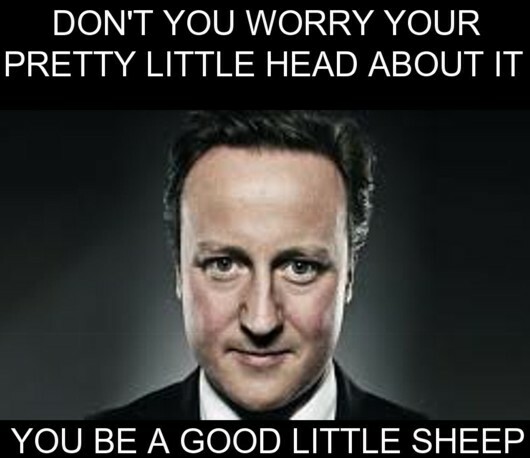 It is, however, a sad example of the power of media censorship that people are more stirred up by his bedroom tax than they are about the fact that his Unum-inspired and Atos-driven work capability assessments for Employment and Support Allowance claimants have led to so many thousands of deaths – yes, deaths – that the government is refusing to release the fatality statistics. Education: Michael Gove is working hard to dismantle state education, so schools may be run for profit, rather than to educate our children. He has distorted international statistics to make it seem that our performance had worsened when in fact it had improved – and got an official warning about it from the UK Statistics Authority. He lied about the advantages of schools becoming academies – all schools already control the length of the school day, teachers’ pay and the curriculum. His claim that autonomy would improve performance remains entirely unfounded – non-academy schools outperform them. His expensive Free Schools experiment is pointless if intended to improve education – in Sweden a similar experiment increased racial and social divisions while education standards dropped. American ‘Charter’ schools were also held up as examples of “extraordinary” change, but almost half showed no improvement and more than one-third worsened. Gove’s next stop, following the ‘Charter’ schools’ example, will be privatisation – schools-for-profit. Meanwhile, he intends to worsen academic achievement by promoting an outdated, learn-by-rote, system of teaching that is scorned by the other countries he says he admires, in favour of creativity. And he has undermined not only teacher morale and conditions, but also the morale of his own civil servants. Our children don’t even have the right to a qualified teacher any more. Now he wants performance-related-pay, rather than national pay awards – further undermining teachers and teaching standards. And Tory policy on health has been the biggest betrayal of the lot: If David Cameron had any support at all in 2010, it was because he had promised to support the National Health Service in the then-upcoming time of austerity. 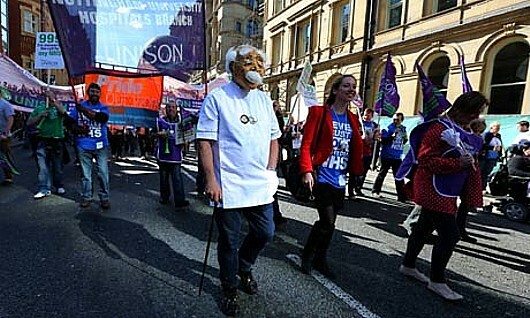 He promised no top-down reorganisations of the NHS, even though he knew his then-health spokesman, Andrew Lansley, had been working on exactly that for many years. After worming his way into Number 10, they immediately embarked on the piecemeal privatisation of this country’s greatest asset, and this is now well under way, with contracts worth billions of pounds awarded to private companies for work that was previously carried out by the nationalised service, and a quarter of the commissioning groups – that we were told would be run by GPs and other health specialists – now run by the private accounting firm (also one of the Big Four and a subsidiary of Atos) KPMG. Even their performance on the economy – which both Cameron and Osborne made the yardstick for determining this Parliament’s success – has been poor. The current upturn has nothing to do with Osborne’s policies and everything to do with the UK’s current position in the economic cycle – in short, things had to get better eventually. This is why the Tories are gathering under the false slogan “For Hard-Working People”, rather than the more appropriate “For The Idle Rich” that Andrew Rawnsley suggests. The party’s leaders understand what their dwindling support base does not – that they need the masses to believe the Conservatives are on their side. This is why they can only wheel out watered-down or repackaged policies that they hope will please the crowds – the party’s leaders understand that anything more solid will turn us away. If you get the chance, have a good look at the speakers in this year’s conference. Every one of them will be terrified that their message isn’t strong enough or that the public will see through it – and remove their snouts from the trough in 2015. The fact is, they had already blown it – long before they got anywhere near Manchester.